Complete IRS Form 5329 to apply for the late RMD penalty waiver. 1. What Is a Decedent IRA? 2. When Am I Required to Start Taking Distributions From My IRA? The required minimum distribution, or RMD, is mandatory for retirement savings plan account holders beginning at the age of 70 ½ or in the year of retirement. The RMD rules for individual retirement accounts, or IRAs, differ slightly from those for other types of qualified retirement savings plans. Understanding how the rules for RMDs differ from other savings plans will help ensure that you are able to benefit to the fullest extent from the funds you have invested without losing money due to penalty taxes. The Internal Revenue Service enforces strict RMD rules, including the assessment of costly penalties for late RMDs, for all affected plans. That being said, if you are late taking an RMD, the IRS provides a process by which you may apply for a waiver of the penalties. The IRS defers payment of taxes on contributions to qualified retirement savings plans, like the IRA. Contributions are not taxed until the funds are withdrawn or distributed without rollover to another qualified account. You will pay taxes on your annual RMD. You or your retirement plan administrator calculates the minimum distribution amount using your year-end account balance and life-expectancy tables provided by the IRS. Non-IRA retirement savings plan participants take the RMD at age 70 ½ or the year of retirement if it occurs later. The IRS requires an IRA owner, regardless of retirement status, to begin taking the RMD by April 1 of the year following the year in which he turned 70 1/2 years old. The IRS has different RMD rules for IRA accounts when the owner dies before beginning the annual distributions. The individual beneficiary of the IRA must take distribution of the full amount of the account within five years of the owner’s death or beginning not more than one year after the owner’s death and continuing over the life of the beneficiary. Failure to comply with the specific rules established as part of the RMD will can quickly result in hefty penalty taxes. The IRS assesses a 50 percent tax on the full or partial RMD that is not withdrawn by the deadline. This additional tax applies if you failed to take the RMD from your IRA or other qualified retirement plan. The 50 percent tax is applied to the excess accumulation, or the amount that was not distributed as required, in the tax year in which the RMD was required. 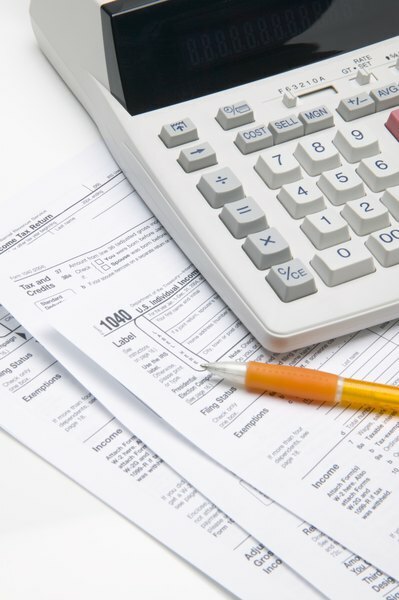 Form 5329, Additional Taxes on Qualified Plans (Including IRAs) and Other Tax-Favored Accounts, is used by income tax filers to report distributions from qualified retirement savings plans. The form also is used to report late or partial RMDs and to apply for waiver of the 50 percent tax. The IRS will waive all or part of the penalty if the owner of the IRA or other affected retirement savings plan shows that the late or insufficient RMD resulted from an error and presents a plan to remedy the error. Complete lines 52 to 55 of Form 5329 as instructed and attach a letter of explanation. You may enter the amount of the 50 percent tax you want the IRS to waive, but you must pay any remaining tax that applies. The IRS will notify you of its decision. Can a Retired Person Take an RMD From a Regular IRA to Convert to a Roth IRA? What Happens if I Inherit Someone Else's 401(k) Account? How Is a 401(k) Paid Out Upon Death?